Especially designed for multi-rotor. 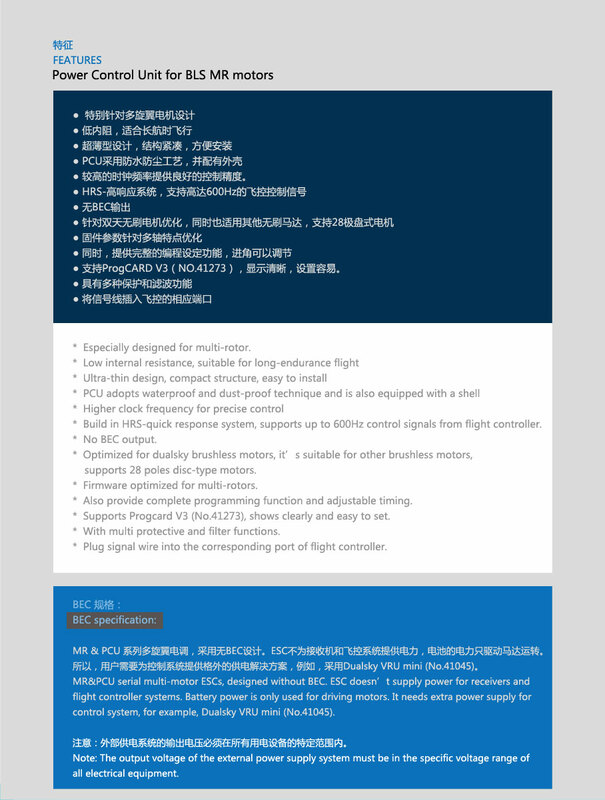 Low internal resistance, suitable for long-endurance flight Ultra-thin design, compact structure, easy to install PCU adopts waterproof and dust-proof technique and is also equipped with a shell Higher clock frequency for precise control Build in HRS-quick response system, supports up to 600Hz control signals from flight controller. No BEC output. 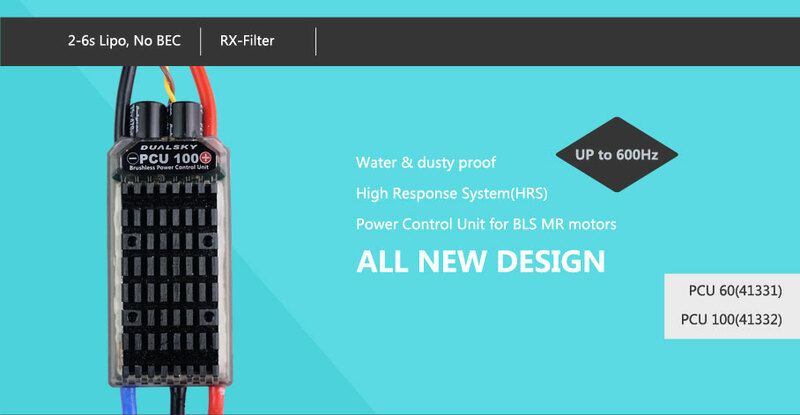 Optimized for dualsky brushless motors, it’s suitable for other brushless motors, supports 28 poles disc-type motors. Firmware optimized for multi-rotors. 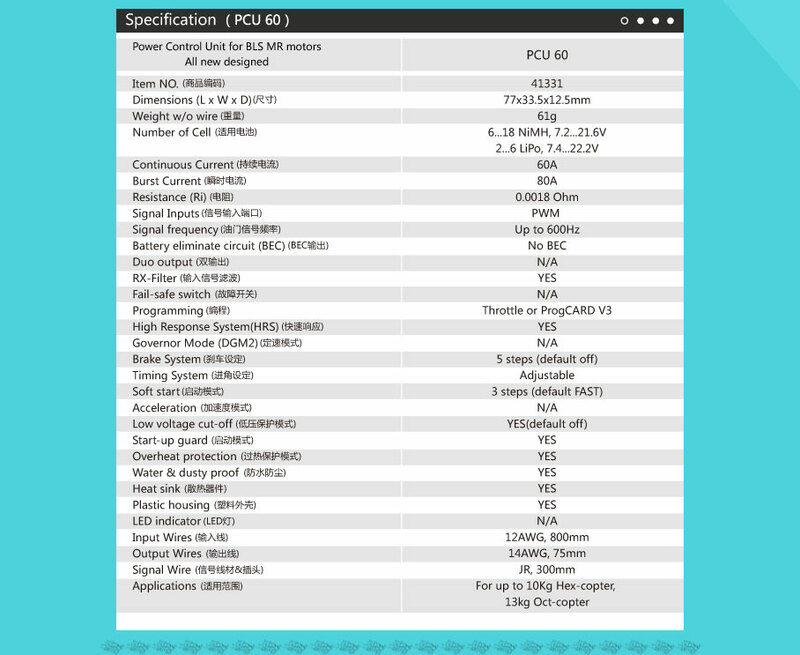 Also provide complete programming function and adjustable timing. 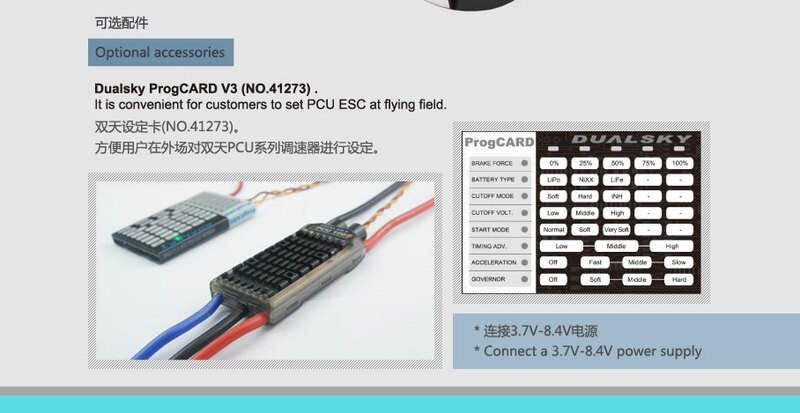 Supports Progcard V3 (No.41273), shows clearly and easy to set. With multi protective and filter functions. Plug signal wire into the corresponding port of flight controller.